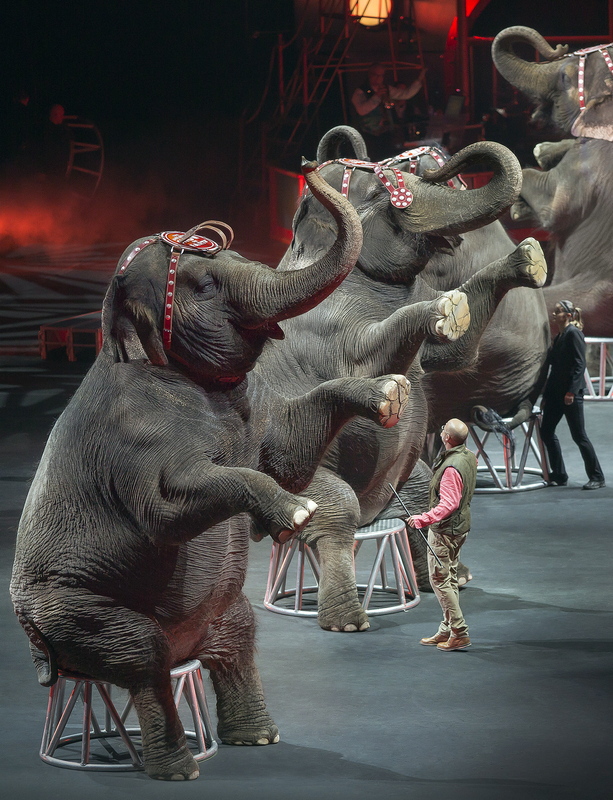 Trenton, NJ – Ringling Bros, the famed circus group, recently announced it will phase out all elephant acts in its circuses after years of protests and claims of animal abuse. The traveling circus made the announcement last week on Thursday, March 5, around 1:15 p.m.
On Thursday, March 6, at 1:20 p.m. a completely separate press release for a completely different story was sent out from the Trenton statehouse announcing Gov. Chris Christie is now available for part time working on the weekends moving forward. Included in the press release was a copy of Christie’s resume. Here is what Christie has listed under the “relevant work experience and abilities” section of the document. – Superior memory. Never forgets. – Has mastered ability to balance self on all fours atop a large rubber ball. – Can travel quickly, as he has his own trunk. – Successfully reduced pension payments across the state of New Jersey during his two terms as governor. – Will work for peanuts. When asked if he was still satisfied with his role as governor of New Jersey, Christie stamped his foot once on the ground, signifying “yes” to the question.